Applications for the Renewable Energy for Agriculture Program (REAP) will be accepted until 5 p.m. on March 5. State Offering Grants For Renewable Energy Projects On Ag Land, By David Castellon, The Business Journal, January 17, 2019. And so when she volunteered as a crossing guard a few years ago, it pained her to stop after just three weeks. “My throat was hurting,” she says, from so many cars passing by on a busy street and waiting outside the school. “When the cars were idling they released so much exhaust,” she says. Just a few blocks from Becerril’s home is heavy industry. Food distributors, warehouses, and lumber yards—many served by 18-wheelers and freight trains. She says her neighborhood feels trapped in the middle. “When the wind blows from different directions, it all comes toward homes,” she says. We know that air quality can vary from place to place, even within the San Joaquin Valley. But with only 38 air monitors among 10,000 square miles, air regulators are likely to miss trends happening on a local scale. For instance: We have an idea how many heavy-duty trucks traverse the state’s highways every month. But where and when do they bypass highways and release their exhaust in neighborhoods? Enter AB 617. Like Becerril, the author, Los Angeles County Assemblywoman Cristina Garcia, also felt her community was being overlooked by regional policies. “We were forgetting communities like mine and communities like mine had been left behind all my life,” she says. And so the law empowers residents, by selecting 10 focus communities across the state and establishing local steering committees. With it comes with $15 million for local grants to build air monitors and bolster community outreach. The idea is: With more data on local emissions, a galvanized community can hopefully guide air regulators in cleanup efforts. Dave Warner is a deputy air pollution control officer with the Valley air district. Outside of AB 617, Warner says the district is primarily focused regionally. It also puts together an inventory of polluting industries and vehicles. AB 617 could be a change of pace for an air district that’s been criticized for a lack of transparency. At a kick-off meeting in December, Fresno steering committee members complained the air district doesn’t educate the public enough on air pollution and its health impacts. In a letter, the air district also sent the wrong meeting date to Spanish-speaking residents, though it later corrected the mistake. South Central Fresno and the Kern County city of Shafter are among the communities selected as the law’s first priority areas. Veronica Eady is assistant executive director of environmental justice at the California Air Resources Board, and she says the state knew it was critical to select regions with disadvantaged communities. “The most noxious land uses tend to be in disenfranchised, low income communities and communities of color,” she says. Indeed, a high pollution burden does tend to track with other negative measures like poverty, unemployment, asthma and low birth weight. “AB 617 as a law is basically an evolution of a civil rights moment,” says Ivanka Saunders, a policy coordinator with the non-profit advocacy group the Leadership Counsel for Justice and Accountability. The Leadership Counsel and other Valley advocacy groups were awarded nearly $2 million in grants through AB 617. Saunders is also a member of the Fresno steering committee. Though Saunders is optimistic, she says she’s concerned that AB 617’s Fresno region doesn’t include an area of Southwest Fresno that consistently ranks as the most environmentally burdened in the entire state. It’s Saunders’ hope that the steering committee will vote to expand and include that neighborhood. Whether or not it does, Lilia Becerril is excited about representing her southeast neighborhood on the committee. “I’m the voice of my community,” she says, “sharing what my community is telling me.” Maybe soon, Becerril can shake the nickname she’s given her neighborhood: The Black Circle. Community Engagement At Center Of New State Law On Air Protection, by Kerry Klein, Valley Public Radio, January 8, 2019. As winter approaches, we begin to spend more time indoors, cranking up the heat and gathering in the kitchen to prepare holiday meals to enjoy with family and friends. What we often forget in this festive season is that, in many homes, the appliances that make these moments warm and comforting — like heaters, water heaters and stoves — run on fossil fuels that produce toxic pollutants like nitrogen dioxide, carbon monoxide and ultra-fine particles, as well as formaldehyde and acetaldehyde, all of which are harmful to our health. The California Air Resources Board warns that cooking emissions from gas and propane stoves are associated with increased respiratory disease — and up to 70 percent of homes with these stoves exceed the EPA clean air recommendations. Young children and people with asthma are especially vulnerable, with recent research suggesting gas stoves are responsible for 12 percent of childhood asthma cases. That’s a striking figure when you consider that the San Joaquin Valley has the highest rate of pediatric asthma in the country, with one in six children struggling to breathe. Utilities offer free home safety checks and tips each season to help reduce the risks that these common household appliances pose, and at the Central California Asthma Collaborative, we’re dedicated to helping families access healthier home and school environments. But, what if we didn’t have to worry about the health impacts of keeping our families warm and fed during the holiday season? For nine San Joaquin Valley communities — Allensworth, California City, Cantua Creek, Ducor, Fairmead, Le Grand, La Vina, Seville and West Goshen — this may soon become a reality. On Wednesday, the Public Utility Commission will vote on a proposed pilot program to provide healthier heating options for communities currently using propane and wood. If the pilot goes ahead, more than 1,600 households in the San Joaquin Valley will receive advanced energy efficiency upgrades and cutting-edge, all-electric appliances powered by clean energy, creating some of the heathiest homes that have ever existed. These upgrades will be provided free of cost — and the transition to all-electric, clean energy homes will save residents considerable cash on monthly energy bills, up to $150 per month and nearly $2,000 a year for some households. That’s money that families can invest in other areas of their life. This is important because low-income families spend a higher percentage of their income on energy bills, often more than twice as high as middle-wage earners, and more than three times as high as high-income families. At the Association for Energy Affordability, where we provide similar upgrades for families across the state, we’ve witnessed firsthand how programs that deliver energy savings improve quality of life. The pilot will also help slash carbon and other air pollution that contribute to climate change and poor air quality. This is important for the San Joaquin Valley, which is already subjected to dangerous levels of outdoor air pollution. With this help from the PUC, our homes can be a place of respite from dirty air and not another health risk. Homes and buildings are responsible for 25 percent of California’s greenhouse gas emissions, and burning gas and propane in homes and buildings contributes over half of this pollution. In addition, gas is made up of over 90 percent methane, a greenhouse gas that is up to 88 times more potent than carbon dioxide. Replacing old appliances with clean, electric ones will help slash methane pollution, moving the state closer to meeting our climate goals while cleaning up local air. We hope this pilot program can bring relief to some of the Valley’s hardest hit families, especially their children who suffer most from air pollution. While there are steps we can take to reduce exposure to indoor air pollution from gas powered appliances, the best prevention is moving to healthier, all-electric homes powered by clean energy. This pilot is a critical part of building California’s clean energy future, and we urge the PUC to approve this program. By building on this experience in the broader San Joaquin Valley and across the state, we can create a map for healthier, more affordable communities. The best gift is peace of mind, and we look forward to a holiday season in which all Californians have access to healthy homes. Kevin Hamilton is the chief executive officer of the Central California Asthma Collaborative, which is dedicated to reducing the burden of chronic respiratory disease across the San Joaquin Valley. Nick Dirr is director of programs for the Association for Energy Affordability, a leading provider of technical services for energy efficiency in buildings dedicated to fostering and maintaining affordable and healthy housing, with special focus low-income communities. Pilot project aims to clean air inside Valley homes during winter months, by Kevin Hamilton And Nick Dirr, The Fresno Bee, December 2, 2018. HANFORD — The Hanford City Council met Nov. 20 and held a public hearing on a proposed ordinance to establish a Hanford Community Choice Aggregation implementation plan and statement of intent. In a 4-1 decision, with Councilwoman Diane Sharp being the only “no” vote, Council decided to start the process of establishing a program plan and statement of intent. During the public hearing, City Manager Darrel Pyle said the concept of Community Choice Aggregation was signed into law in 2002 and grants California Cities the right to combine the electricity load of its residents and businesses into a community-wide electricity aggregation program. Right now, Pyle said most of Hanford is served by Southern California Edison, but the Industrial Park is served by Pacific Gas & Electric. He said under a Community Choice Aggregation program, the incumbent utility — Southern California Edison or PG&E — continues to be responsible for electricity delivery and transmission, owning and maintaining the power and transmission infrastructure, reading the meter, and billing and collecting from customers. The staff report on the issue said the only change under the program is that power consumed by customers is purchased by the Community Choice Aggregation, with the revenues collected staying in the city to benefit the citizens and businesses. Pyle said a technical study that was conducted said Hanford customers would receive and increased opportunity to choose the type of electricity they prefer to come into their home, like renewable energy or a lower-cost option. In addition to the financial benefits, he said the Community Choice Aggregation structure results in the Hanford City Council having full control of rate setting, budget approval, policy setting and program direction. Officials said any Hanford customers who wish to stay with the incumbent utility provider have the ability to opt out of the Community Choice Aggregation. “What we’re offering here is competition,” Vice Mayor Sue Sorensen said. An additional fund would be established in the city’s budget and operate like the water or sewer fund, with reserves that would not affect the general fund, Pyle said. Sharp said she felt like the city has enough on its plate and she didn’t feel comfortable with the level of risk going into this new business, but Council members like Sorensen and Mayor David Ayers said they were interested in the possibilities available in providing different options to residents and would at least like to begin moving forward at this point. A motion made by Sorensen to begin the process of establishing an implementation plan and statement of intent was passed with support from Ayers and Council members Martin Devine and Justin Mendes. Due to the many steps involved, if the council continues to pursue the option — which they are not obligated to do — anticipated implementation is not expected until May 2020 or later. A town hall meeting that was previously scheduled to take place tonight, Nov. 27, to discuss a proposed homeless service center in downtown Hanford has been canceled. Ayers said out of respect for the three new council members that were recently elected, he requested the meeting be postponed until the three new members are situated on the dais. He said after that point, the new council can decide when the meeting is to be held. “They’re going to be the future decision makers,” Ayers said. There was a general consensus from the rest of council to go ahead and postpone the town hall meeting. “As we carry forward, I think it’s going to be important that we carry forward with that team that will be making those decisions for the next two years,” Sorensen said. In the meantime, escrow has not been opened on the proposed building and Pyle assured Council that nothing will be happen until after a town hall meeting is conducted. Council begins to explore Community Choice Aggregation, by Julissa Zavala, Hanford Sentinel, November 27, 2018. 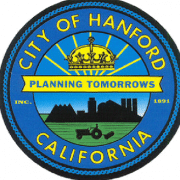 HANFORD — Despite the Thanksgiving holiday around the corner, the Hanford City Council will still meet Tuesday night to hold a public hearing. In addition to the consent calendar, items of which are considered routine and are voted on in one motion, Council only has one public hearing and no other items of new business on its agenda for the night. The public hearing is on a proposed ordinance to establish a Hanford Community Choice Aggregation and approving implementation plan and statement of intent. This type of plan combines the electricity load of its residents and businesses into a community-wide electricity aggregation program, known as a Community Choice Aggregation program. According to the city staff report, under a Community Choice Aggregation program, the incumbent utility — Southern California Edison or Pacific Gas & Electric — continues to be responsible for electricity delivery and transmission, owning and maintaining the power and transmission infrastructure, reading the meter, and billing and collecting from customers. The staff report said the only change under the program is that power consumed by customers is purchased by the Community Choice Aggregation, with the revenues collected staying in the city to benefit the citizens and businesses. In addition to the financial benefits, the staff report said the structure results in the Hanford City Council having full control of rate setting, budget approval, policy setting and program direction. During the public hearing, Hanford residents will have an opportunity to voice their concerns or support of the city moving forward with this plan. Before the regular meeting, Council will hold a study session to discuss both reorganization in the Hanford Fire Department and a draft of the Kings County Association of Government’s Regional Active Transportation Plan. Public hearing on Council agenda, by Julissa Zavala, Hanford Sentinel, November 17, 2018. 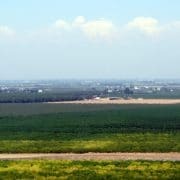 Fresno, CA – The U.S. Environmental Protection Agency (EPA) announced this week it would award the San Joaquin Valley Air Pollution Control District (SJVAPCD) over $3.7 million for two projects the District is spearheading to improve Valley air quality by reducing heavy-duty diesel vehicle emissions. The SJVAPCD was awarded the federal funding through the EPA’s Diesel Emission Reduction Act (DERA) grants program and will match the federal dollars with SJVAPCD funds for both projects. Congressman Costa has been a longtime supporter of the DERA program, most recently joining his House colleagues in advocating for continued and robust program support in the 2019 Fiscal Year spending bill. The first project will replace over 100 heavy-duty diesel trucks in the Valley with newer trucks, while the second will replace 100 diesel-powered agricultural tractors with new off-road agricultural equipment. Both projects require the new replacement vehicles to have dramatically lower emissions than the older vehicles, meeting or even exceeding current EPA emission standards. Agriculture and trucking are critical for the Valley’s economy, and both currently rely on diesel-fueled vehicles or equipment that are a significant source of air pollution. These projects aim to support the Valley’s economic needs while also improving the region’s air quality and health. 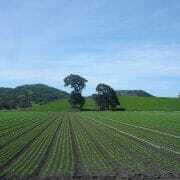 “Agriculture is essential to the success of the San Joaquin Valley. 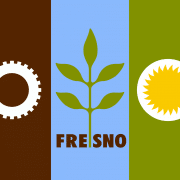 The District will continue working with Valley growers, EPA, and other agencies to keep moving forward with clean air efforts and investments in the San Joaquin Valley,” said Samir Sheikh, SJVAPCD Executive Director and Air Pollution Control Officer. 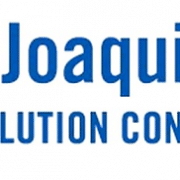 Congressman Jim Costa Says San Joaquin Valley Air Pollution Control District Awarded $3.7 Million to Improve Valley Air Quality, Press Release, Sierra Sun Times, October 29, 2018. First Solar and D. E. Shaw Renewable Investments (DESRI) today announced the acquisition by a DESRI affiliate of the 100-MW Willow Springs Solar Project in Kern County, California. Terms of the deal were not disclosed. 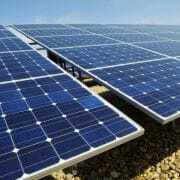 The project, which was developed by First Solar, is currently under construction, with completion estimated at the end of 2018. The project will supply power to Southern California Edison Company through a long-term Renewable Power Purchase and Sale Agreement. Antoun also noted the importance of the positive business environment provided by Kern County as a factor in realizing the benefits of solar as a fundamental power generation source of the future. When in operation, the power plant is expected to annually provide enough clean, affordable sustainable electricity to power about 41,000 typical California homes and displace more than 77,000 metric tons of CO2 greenhouse gas emissions each year–the equivalent of taking almost 15,000 cars off the road. Willow Springs is the fourth renewable energy project DESRI has acquired from First Solar. In 2017 a DESRI affiliate acquired the 40-MW Cuyama Solar Project in Santa Barbara County; in 2016 DESRI affiliates acquired the 31-MW Portal Ridge Solar Project in Los Angeles County and the 11-MW Rancho Seco Solar Project in Sacramento County. First Solar sells 100-MW California solar project, by Billy Ludt, Solar Power World, October 17, 2018. 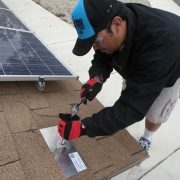 When it comes to building energy efficient homes in California, De Young Properties is in a race with itself. This summer, the family-run company claimed the title of largest zero-net energy home builder in the state with EnVision, 36 single-family homes in a southeast Clovis development. Now it’s going bigger. The De Youngs have recently launched RidgeView, a 58-home development of zero net energy homes in north Clovis at Locan and Quincy avenues. What is zero net energy? It’s simply the ability of the home to produce as much clean energy, typically through solar, as the homeowner can use in a year. The RidgeView development will feature many of the same energy-saving features as its sister development, EnVision at Shaw and Highland avenues, but on a larger, more detailed scale. 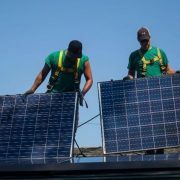 The homes will also serve as a laboratory of sorts where researchers can collect data on how to improve energy efficiency and provide a template for how to meet a new state standard calling for solar power on most new homes by 2020. The California Energy Commission’s goal is to slash energy usage in new homes by more than 50 percent. That will cut greenhouse gas emissions by an amount equivalent to taking 115,000 fossil fuel cars off the road. For the De Youngs, meeting the state’s mandate is as important as providing solutions for a cleaner environment and building better, smarter homes. “By building these large-scale communities, we are demonstrating to regional, statewide and even national builders that Zero Energy homes can be constructed affordably and we are hopefully inspiring other builders to follow in our footsteps,” said Brandon De Young, executive vice president of De Young Properties. Among the features of the De Youngs’ energy efficient homes is the use of solar and installling a heat pump water heater that uses electricity instead of gas to heat the water. The heat pump pulls heat from the surrounding air and transfers it to water that’s stored in a tank. The homes also have roof tiles to reflect heat and sunlight, high-grade insulation in the walls and attic and a high-efficiency air conditioning and heating system. Each home will come with a built-in energy monitoring system that will allow the homeowners to view their real-time and historical home energy consumption through a smartphone app. De Young Properties is partnering with ConSol, a Sacramento-based research and energy consulting firm, to collect data on how homeowners use energy, what time of the day they use it and figuring out how to slash energy use even more. Garth Torvestad, senior technical consultant with ConSol, is overseeing the collection of the data that will be gathered from each of the home’s electrical circuits. Part of what researchers want to test is how accurate their models are for estimating home energy use. 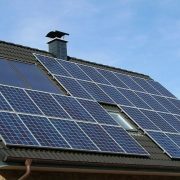 Researchers know that the peak time for generating electricity from solar panels is about 3 p.m. And that has generally coincided with the peak energy usage in a home. But that model is changing, Torvestad said. De Young also is interested in learning how zero energy homes perform in day-to-day living. “Not only will our team be learning, but the homeowners will have the opportunity to learn about their energy patterns, as well, which can help them save even more energy and money,” De Young said. RidgeView homes start in the $400,000s and at least 40 percent of the available lots have been sold. New energy-efficient home tract in north Clovis is largest of its kind in California, by Robert Rodriguez, The Fresno Bee, October 5, 2018.